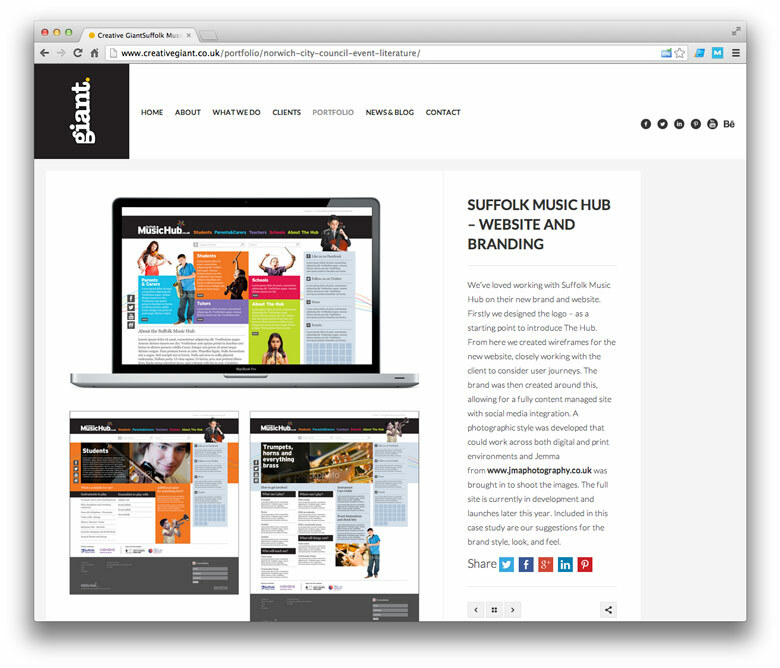 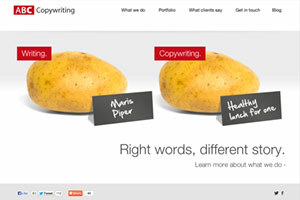 Creative Giant | Website Portfolio | Dessol Web Design, Lowestoft. 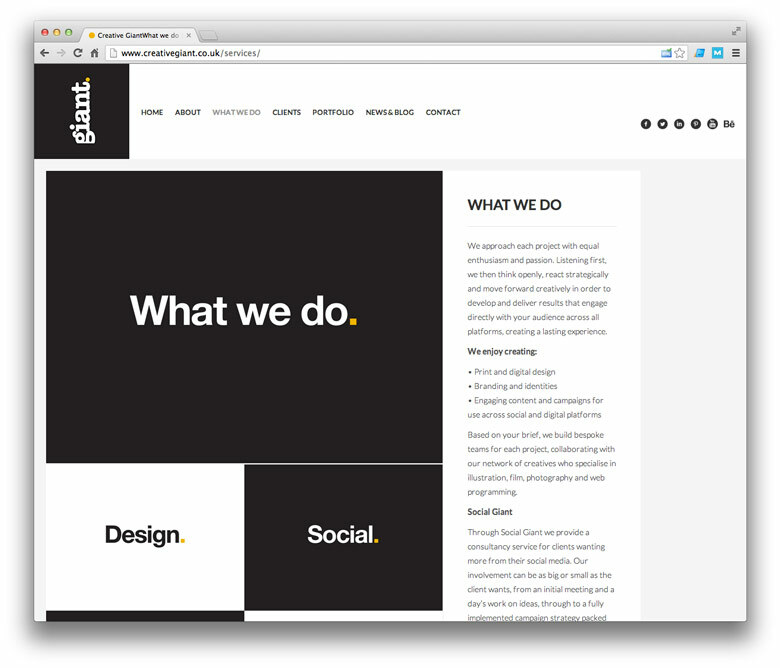 "Listening first, we then think openly, react strategically and move forward creatively..."
Creative Giant is a graphic design and social marketing agency based in Norwich, UK. 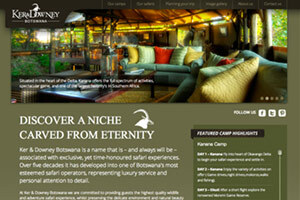 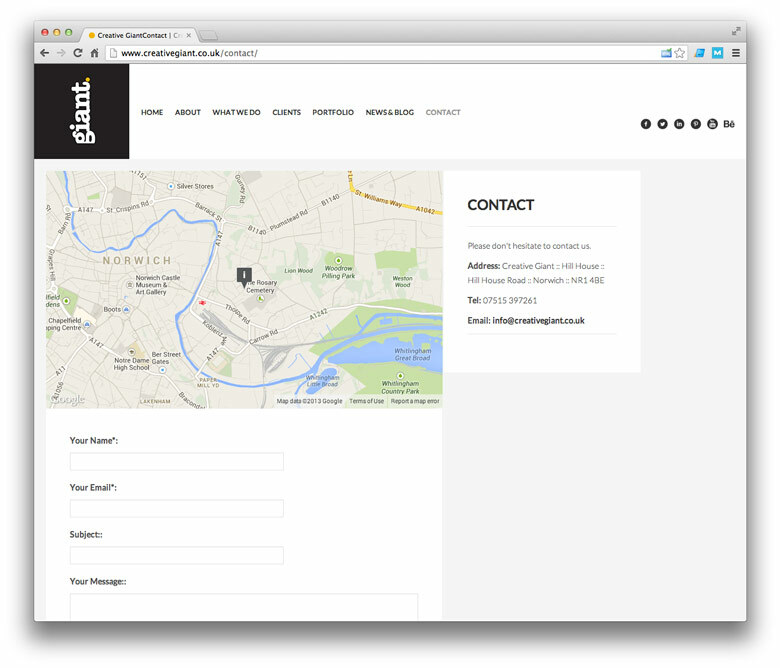 They approached us to create a modern, responsive website that suited their own brand perfectly. 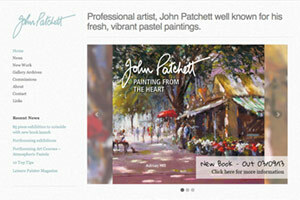 Based on Wordpress, it gives Creative Giant the ability to update it and blog freely. 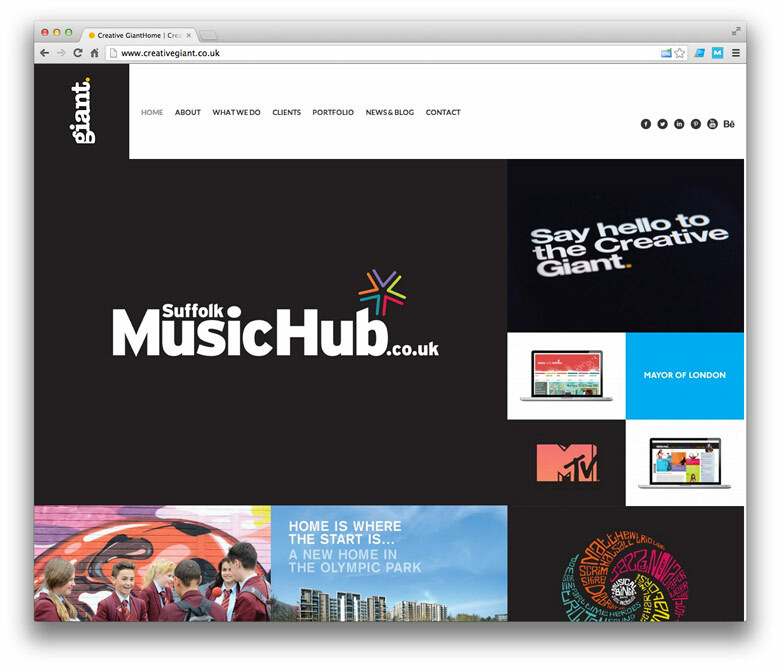 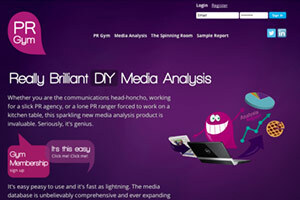 Check out the site at www.creativegiant.co.uk.